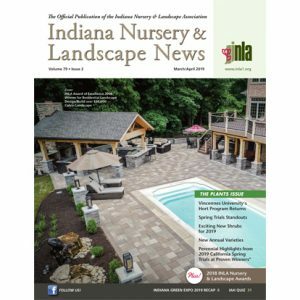 INLA’s scholarship fund, the Indiana Nursery Endowment Fund (INEF), awards scholarships up to $6,000 each year to one or more full-time students enrolled in horticulture or landscape horticulture related classes at either Vincennes University or Purdue University. Scholarship recipients receive half the award in their freshman year and the second half of the award their sophomore year providing scholarship requirements are attained. If you know someone who may be interested, please share this information and encourage them to apply.